Do you have to regularly move heavy items for your work? 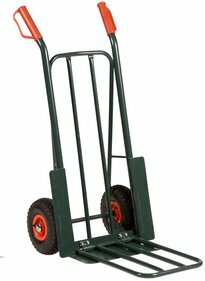 Avoid painful neck and back pain by working with a hand truck. With our trolleys you can easily move heavy goods in a warehouse, truck or with a relocation. 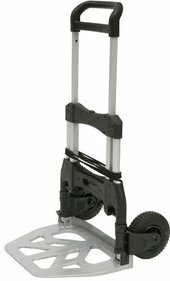 Our range consists of metal, aluminum and foldable hand trucks that can be stored easily. For really heavy work we advise you to choose the metal hand trucks that have a sturdy construction.